Yinka Shonibare C.B.E. (British-Nigerian), Food Faerie, 2010. Mannequin, cotton, leather, artificial fruit, fiberglass, feathers on wood pedestal. Yinka Shonibare C.B.E. (British-Nigerian), The Sleep of Reason Produces Monsters (Europe), 2008. Chromogenic print. Yinka Shonibare C.B.E. (British-Nigerian), The Age of Enlightenment - Gabrielle Émile Le Tonnelier de Breteuil, Marquise du Châtelet, 2008. Life-size fiberglass mannequin, Dutch wax printed cotton, mixed media. Yinka Shonibare C.B.E. (British-Nigerian), The American Library, 2018. Hardback books, Dutch wax printed cotton textile, gold foiled names, headphones, interactive application. Installation view at The Cleveland Public Library. Commissioned by FRONT International: Cleveland Triennial for Contemporary Art. July 14-September 30, 2018. © Yinka Shonibare MBE. Courtesy James Cohan Gallery, New York, and FRONT International: Cleveland Triennial for Contemporary Art with funds from VIA Art Fund, Cleveland Public Library and The City of Cleveland’s Cable Television Minority Arts and Education Fund. Photography by Field Studio. The American Library by Yinka Shonibare CBE is a celebration of the diversity of the American population and acts as an instigator of discovery and debate. The six thousand books in this art installation are covered in the artist’s signature Dutch wax printed cotton textile. These fabrics were originally based on Indonesian batik textiles, made in the Netherlands and sold in West Africa. Since the 1960s this fabric has been celebrated as a symbol of African identity. The mixed origins of the fabric make it a perfect metaphor for the multicultural identity embedded in the history of the United States. On the spines of many of these books are, printed in gold, the names of people who immigrated, or whose antecedents immigrated to the United States. On other books are the names of Americans who relocated or whose parents relocated out of the American South during the Great Migration. These names include W. E. B. Du Bois, Maria Goeppert Mayer, Steve Jobs, Bruce Lee, Ana Mendieta, Joni Mitchell, Toni Morrison, Barack Obama, Steven Spielberg, Carl Stokes, Donald Trump, and Tiger Woods. These people have all made a significant contribution to aspects of American life and culture and represent every field from science to activism, music, philosophy, art, and literature. Most of these people have also experienced varying degrees of discrimination and hardship during and after their or their family’s relocation. A further set of books within the library features the names of people who have spoken out against immigration, equality or diversity in America. Through the iPad stations included in this installation visitors are able to access more information about the individuals whose names appear in this library – all of whom have benefited from immigration, yet some of whom hold anti-immigration views. Visitors can also elect to contribute their own immigration stories and learn more about immigration and the migrations of large groups of people over the course of this nation’s history. Yinka Shonibare CBE: The American Library is co-presented in Louisville by 21c Museum Hotel and the Speed Art Museum. This immersive installation will be on view in the Speed Art Museum’s original 1927 galleries, in the same room which formerly housed a library during the first decades of the Speed’s existence. In addition to The American Library, the exhibition will feature artworks by Shonibare from the 21c and Speed collections including: The Three Graces, (2001), The Age of Enlightenment – Gabrielle Émilie Le Tonnelier de Breteuil, Marquise du Châtelet (2008), Food Faerie (2010), and The Sleep of Reason Produces Monsters (2008). The American Library was originally commissioned by the Front International: Cleveland Triennial for Contemporary Art with funds from VIA Art Fund and with the assistance of James Cohan Gallery, New York. Yinka Shonibare CBE was born in 1962 in London and moved to Lagos, Nigeria at the age of three. He returned to London to study Fine Art, first at Byam School of Art (now Central Saint Martins College) and then at Goldsmiths College, where he received his MFA. Shonibare was a Turner prize nominee in 2004, and was also awarded the decoration of Commander of the Order of the British Empire or CBE, a title he has added to his professional name. Shonibare was notably commissioned by Okwui Enwezor at Documenta 11, Kassel, in 2002 to create his most recognized work Gallantry and Criminal Conversation that launched him on to an international stage. He has exhibited at the Venice Biennale and internationally at leading museums. In September 2008, his major mid-career survey commenced at the MCA Sydney and then toured to the Brooklyn Museum, New York and the Museum of African Art at the Smithsonian Institution, Washington DC. He was elected as a Royal Academician by the Royal Academy, London in 2013. Shonibare’s works have been exhibited in public spaces across the globe, including several notable locations in London, such as Trafalgar Square, the Royal Opera House, and the Royal Academy of Arts. His work is also included in prominent collections internationally, including the Tate Collection, London; Victoria and Albert Museum, London; National Museum of African Art, Smithsonian Institute, Washington, D.C; Museum of Modern Art, New York; National Gallery of Canada, Ottawa; Moderna Museet, Stockholm; National Gallery of Modern Art in Rome and VandenBroek Foundation, The Netherlands. Friday, March 29, 2019, 6-8pm: Opening Night. Welcome at 7pm by Alice Gray Stites, 21c Chief Curator and Museum Director, and Miranda Lash, Speed Art Museum Curator of Contemporary Art. Friday, April 12, 2019, 3pm: Compas Peer Mentor and Ambassador program for Latino students, presented in conjunction with the University of Louisville’s Cultural Center. Friday, August 9, 2019, 11am: Naturalization Ceremony celebrating new citizenship for 100 immigrants in Louisville. Friday, September 13, 2019, 6pm: Gallery talk with Alice Gray Stites, 21c Chief Curator and Museum Director, and Miranda Lash, Speed Art Museum Curator of Contemporary Art. 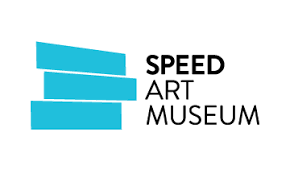 This exhibition is co-presented with the Speed Art Museum.